Read more in The New York Times. New York Times: Outraged by the Attacks on Yazidis? It Is Time to Help. We are very grateful to President Emmanuel Macron of France, who pledged to help demine the Sinjar region. And together with the French government, we are working on starting the Sinjar Action Fund, a trust fund to rebuild Sinjar. But we need more help. I call on governments, international organizations, private entities and individuals to contribute to the Sinjar Action Fund and help us return home and rebuild our lives. 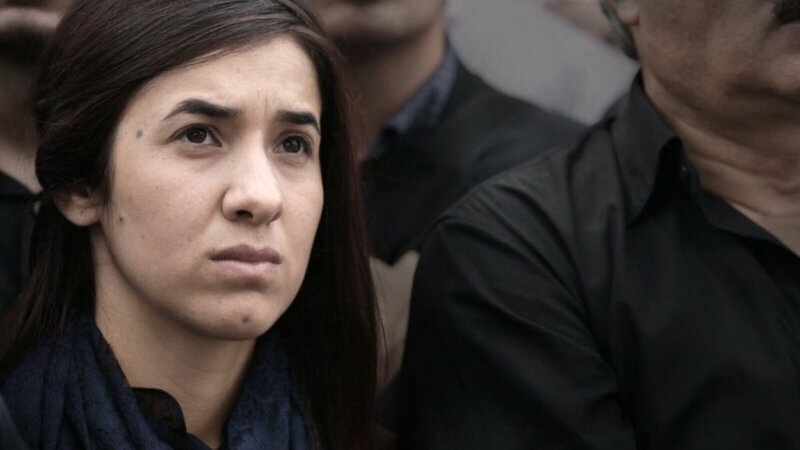 "The President of the France affirmed his support for the Yezidi cause and the courageous struggle led by Nadia Murad." Amal Clooney is one giant step closer to achieving her longtime goal of holding ISIS accountable for its war crimes. "I am a survivor of Islamic State Violence. Don't forget us." “In 2014, a few months before the Islamic State attacked Sinjar in Iraq, extremists killed a young border patrolman named Ismail from my hometown of Kocho. After I had escaped my own enslavement at the hands of the Islamic State, I realized his death had been a sign of what was to come. Iraqis — not just Yazidis, but also Kurds and Arabs, Sunni and Shiite — knew of the Islamic State before it even had a name. It was an ideology and a legacy of war. But we didn’t put the pieces together. At the time, Ismail’s death was simply viewed as a tragedy. Now, as survivors, we are better at reading the signs.